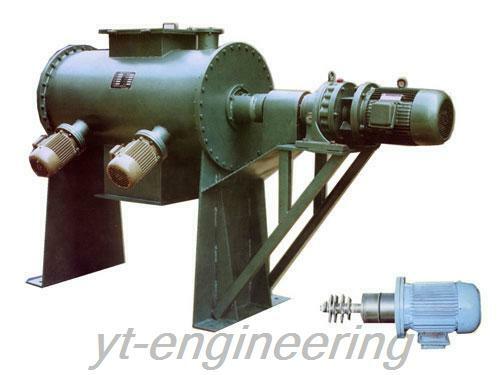 WLDH horizontal ribbon mixer consists of mixing barrel, spiral agitating vane and driving parts. 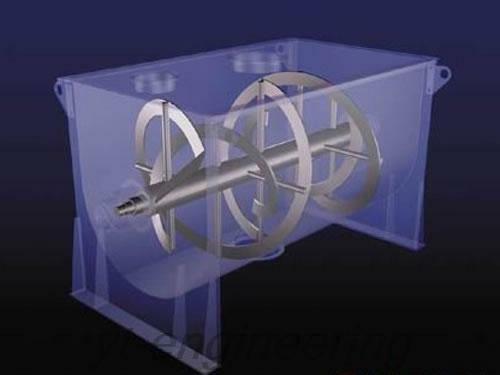 Spiral blades are generally made into two floors with the outer one collects the material from each two side to the center, and the inner one diverts the material from the center to each side. 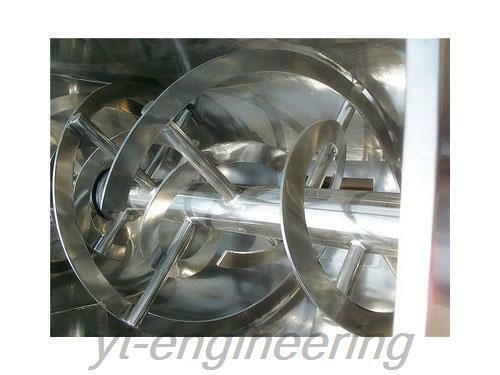 This makes the materials form convective mixing so as to achieve high uniformity mixing. 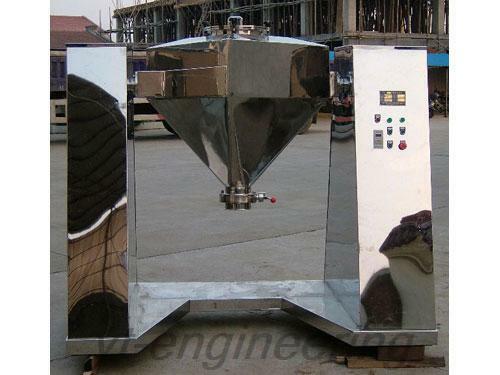 Horizontal mixing machine is widely used in pharmaceutical, food, chemical and other industries for all kinds of powder or paste materials of high uniformity mixing. 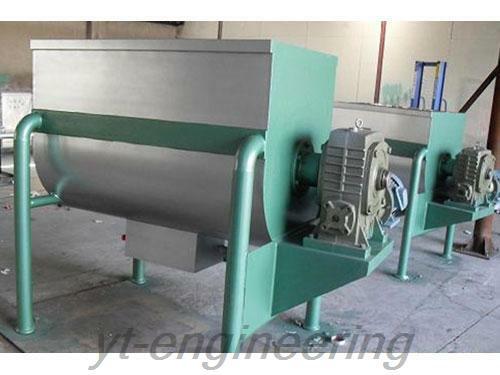 WLDH horizontal ribbon mixer is a new type of high efficiency and high precision mixing equipment. 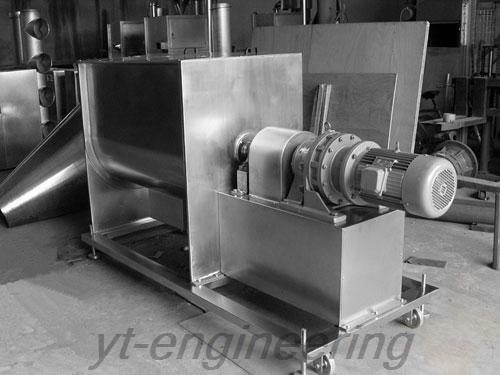 Yutong implements strict quality control system to guarantee the performance ribbon blender. 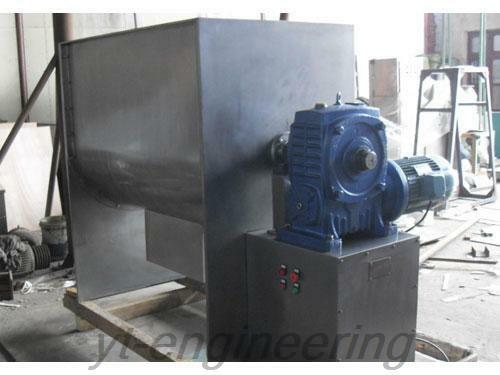 The quality of horizontal ribbon mixer is repeatedly checked during each stage of production. The accessories suppliers and our company are in the same area, so the cost price of accessories has obvious advantage. 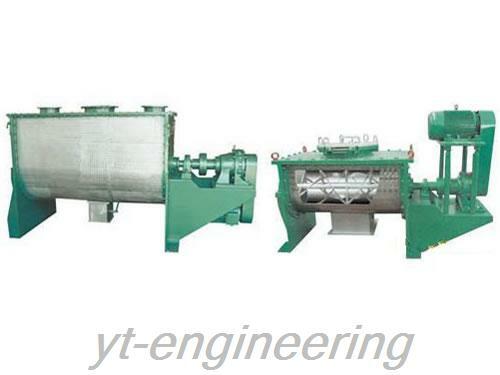 We have detailed records for purchasing and using, so as to ensure full utilization rate of raw materials. 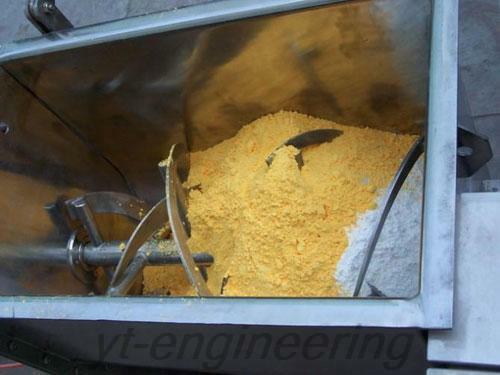 Complete processing and manufacturing equipment can avoid additional costs due to outside processing of ribbon blender.